Should I have a wedding video? At the end of your wedding day the only things you have left are your dress, which is probably going to get cleaned then go into storage, your photographs, video, and maybe a bit of cake (I kept mine in the freezer for months!) You also have your memories. But, memories fade. The day after my wedding my husband and I were able to rewatch all of our speeches, and look through the footage to see all of our little venue details again – it was so amazing! Wedding photography is great, and I’d never tell a couple to not have photographs, but the problem with photographs is that they capture a still moment in time, and not the reason for that moment. For example, if there’s a shot of your nana laughing during the speeches, you might have no idea exactly what she was laughing at. But, with video you can see exactly what she was laughing at. You can hear all of the speeches word for word, so you’ll never have to think “what did my dad say at my wedding?” or, “what was the joke the best man made?” I think videography adds something that simply cannot be replaced. All of my couples tell me that their video was one of the best decisions they made – just take a look at the reviews section on Facebook. The wedding videos get praised for capturing all the little details, and couples don’t often even notice that I’m there (so you don’t need to worry if you’re self conscious about being filmed). I’d urge all couples who are planning their wedding to book a wedding video, I promise that you will not regret it!  Visit the prices page to take a look at the various wedding video packages available.